The boat's captain was struck in the head in the early-morning assault before the thieves made off with the gold in three cars, police spokesman Reggie Huggins said. Authorities believe there were at least six men involved in the heist. No suspects were in custody. Huggins declined to say who owned the approximately 476 pounds of gold but he said it was a legal shipment that was being trans-shipped through Curacao and officials in the island had been advised in advance that it was coming as part of normal security protocols. He declined to disclose the eventual destination of the metal. 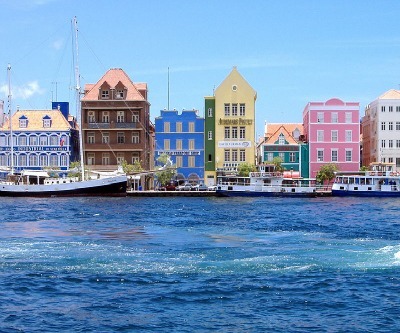 Like many of the smaller islands in the Caribbean, Curacao in the Netherlands Antilles is used as an offshore financial centre and tax haven.